Dreaming of owning a country property? If you long to leave the white noise of the city and plan to settle in the country, this Somerset home for sale is the perfect opportunity for you. Perched on 6.45 acres of picturesque land, this stunning country home features 4 generous sized bedrooms, 4.5 bathrooms and a garage that can hold 3 cars. Other features of this home includes a wide front porch, a bright and welcoming living room with a rustic feel, an inviting family room, a home office, a laundry room and a patio. The kitchen of this home is made to impress! It features granite countertops, maple cabinetry, a pantry, a Bosch dishwasher, a Sub Zero refrigerator, a Thermador oven, a Jenn Air cooktop, a surface grill, a kitchen island and a breakfast bar. This kitchen was clearly designed with entertaining in mind. Properties like this are rare so grab this chance now and own your dream! This property can be yours for ONLY $699,900. 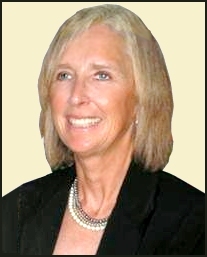 Call me, Pam Dent, at (434) 960-0161 to set a schedule today. Location is just one of the many amazing features of this home! Designed to provide the ultimate comfort, this custom-built Virginia country home offers ample space, stunning views and lush foliage, ensuring the best of privacy and retreat. Nestled upon a picturesque 6.45 acre lot, you will find this all brick 4 bedroom, 4.5 bath home with 5,665 square foot of living space a stunner! It overlooks the rolling countryside from almost every angle so you get amazing views wherever you are. It is a perfect haven and delivers a wonderful outdoor oasis, great for entertainment or private enjoyment. It is close to Montpelier, the market at Grelen, Orange and Charlottesville. This Somerset home for sale leaves nothing to be desired. It is the perfect ideal home for country lovers. If you long for outdoor adventure, tranquil nights, and the small town feel, you’ll get it in Somerset, located 22 miles northeast of Charlottesville. This home is only 8 minutes away from historic Montpelier. The Market at Grelen is practically its neighbor, you can walk there in 15 minutes. Children in the Somerset area attend Orange Elementary School, Prospect Heights Middle School and Orange High School – all within a 14 minute drive from this home. Enjoy the county’s scenic escape as you drive to this wonderful hideaway. The home is set back from the road so you will have a good drive before you reach the property. A well-maintained expansive front lawn with beautiful landscaping welcomes you to this estately home. A lovely brick floored, extra wide front porch which runs the entire length of the home’s front. Step inside this home’s inviting living space and be impressed by the details and craftsmanship of this home. Open this home’s elegant front door with sidelights and detailed windows to be greeted by a generous sized foyer with ceramic tile floors and neutral tone walls. Bright and airy, this foyer is perfect to show off any favorite collection or painting. It has enough space for any display you want to decorate it with. To the right of the foyer is the formal dining room. Gorgeous maple floors on the floor enhance the warm and inviting feel of this room. The massive window on one wall overlooks the front yard, giving you an amazing view of nature while you dine or entertain. It also allows natural light to flow easily into the room, making this room bright and welcoming. This formal dining room is spacious and can easily accommodate a table for eight comfortably. Be it a catered gathering or a simple family get together, this dining space comes in convenient and handy. To the left of the foyer is this Somerset home for sale’s living room. The large window allows light to stream in, giving the room sufficient brightness and warmth, further enhanced by the gleaming hardwood floor. The neutral tone walls and warmth of the wood floor makes it easy to find suitable seating styles. Along with a couple of paintings on the wall, this living room is the best place to have guests, or simply hang out and enjoy the view outside. This home has a kitchen to be proud of. Featuring granite countertops, maple cabinetry, a pantry, a Bosch dishwasher, a Sub Zero refrigerator, a Thermador oven, a Jenn Air cooktop, a surface grill, a kitchen island and a breakfast bar, this kitchen is clearly designed with entertaining in mind. Recessed lighting adds drama to this exceptional kitchen. A breakfast room is set beside this kitchen, overlooking the spacious backyard through the large picture windows. When you need a bigger space, the family room of this home is the best place to entertain. Airy and spacious, your guests can easily mix and mingle in this room without a concern for space. Featuring a fireplace, it is the spot to gather when you wanted to enjoy the warmth on cold nights. The gleaming hickory floors certainly add warmth to this room, along with the ceiling moldings and recessed lighting. It also has large windows, giving you stunning views of the countryside wherever you sit. Fit for private entertaining and comfortable living, this functional yet sophisticated space invites the best of relaxation. The master suite, with its tray ceiling, wood floors and wide windows, is elegant and inviting. It is also super spacious, it can fit two large bedrooms inside. This home for sale in Somerset’s master bedroom also has a sitting area that overlooks the back yard. It’s the perfect spot to relax or read a book. Imagine waking up in the morning with the scenic view of your own front yard greeting you! Turn this room into a private retreat and surround yourself with everything that inspires you. The master bathroom is practical and efficient, but with a touch of sophistication. With ceramic tile floors, double vanities, a jetted tub and a walk-in shower, you will look forward to a nightly soak with your favorite bubble scent. You’ll love the hand painted tiles with bluebonnets right by the tub. It is a personal touch that shows an artistic style. The other three bedrooms of this home are bright and well-appointed. The second bedroom is called the Virginia room and its ensuite bathroom has tiles with dogwood flowers for the state of Virginia. The third bedroom, on the second level, is called the Louisiana room and features tiles hand painted with magnolia blossoms. The fourth bedroom is the Montana room, and its ensuite bathroom has tiles with hand painted bitterroot flowers. This home is truly exceptional and offers plenty of living space. It has a well-spaced home office where you can setup cabinets and a table, so you can work more efficiently because it allows for privacy and security. There is also a large laundry room between the kitchen and the garage that offers plenty of cabinets for storage. The landing on the second floor is large and can be used as a second living area, or a study place for the kids. There is also an unfinished basement that measure 3,000 square feet. If you love DIY jobs, this is the best time for you to work on your skills. Or if you prefer to have it done as fast as possible, hire a handyman. You can install a fireplace, a kitchen and a full bath. It can become a great entertainment area or a game area if you wish. A 3-car attached garage rounds off the interior living spaces of this home. Another treasure of this home is its paved patio in the backyard. Set this patio up with some well-chosen outdoor seats and furnishings, and you will have the best spot for retreat and relaxation. Invite your friends over and have wonderful parties and get-togethers on this patio with a spectacular view. Your children will surely love running and playing in this home’s splendid backyard. This home is exceptionally maintained, one you shouldn’t let pass by! All its amazing features and amenities are yours for ONLY $699,900. If you would like to see more properties in this town and other surrounding areas, check out http://JumpIntoGreenerPastures.com. In the market for a home here in Somerset or other Central Virginia counties? 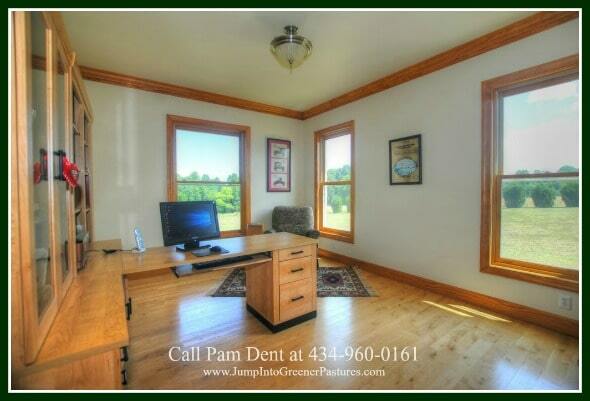 Call me, Pam Dent at (434) 960-0161. Let me help turn your real property dreams into a reality.